 Vedanta Ltd, Jindal Steel & Power Ltd, PNB Housing Finance Ltd and Jammu and Kashmir Bank Ltd are among the other losers in the BSE's 'A' group today, 11 April 2019. 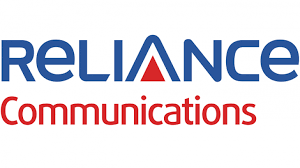 Reliance Communications Ltd crashed 4.96% to Rs 2.68 at 14:48 IST.The stock was the biggest loser in the BSE's 'A' group.On the BSE, 147.15 lakh shares were traded on the counter so far as against the average daily volumes of 113.22 lakh shares in the past one month. Vedanta Ltd tumbled 3.69% to Rs 181.35. The stock was the second biggest loser in 'A' group.On the BSE, 10.3 lakh shares were traded on the counter so far as against the average daily volumes of 5.64 lakh shares in the past one month. Jindal Steel & Power Ltd lost 3.28% to Rs 176.9. The stock was the third biggest loser in 'A' group.On the BSE, 4.99 lakh shares were traded on the counter so far as against the average daily volumes of 7.83 lakh shares in the past one month. PNB Housing Finance Ltd plummeted 3.02% to Rs 840.5. The stock was the fourth biggest loser in 'A' group.On the BSE, 35110 shares were traded on the counter so far as against the average daily volumes of 46825 shares in the past one month. Jammu and Kashmir Bank Ltd slipped 3.00% to Rs 62.95. The stock was the fifth biggest loser in 'A' group.On the BSE, 96110 shares were traded on the counter so far as against the average daily volumes of 1.49 lakh shares in the past one month.